The Vikings continued practice Thursday without cornerback Trae Waynes (concussion) and running back Dalvin Cook (hamstring). 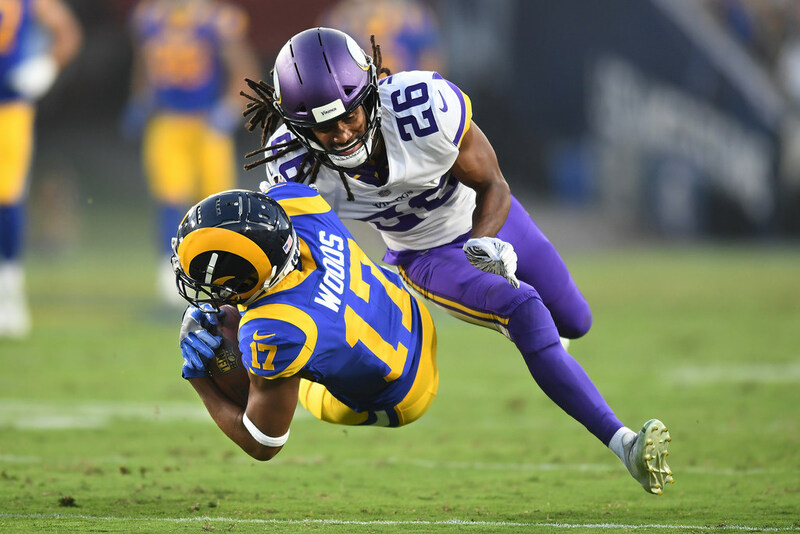 Waynes remains in the concussion protocol a week after suffering the brain injury in a 38-31 loss to the Rams. Cook continued to rehab his injured hamstring with strength and conditioning coach Mark Uyeyama off to the side of practice. It remains to be seen if either will be available Sunday in Philadelphia. Head coach Mike Zimmer said Thursday that Cook is “probably questionable” to play against the Eagles. We’ll get the actual game-day designations on Friday after another practice. Defensive end Everson Griffen remains away from the team while addressing mental health concerns. Only two changes to the Vikings’ injury report on Thursday: nose tackle Linval Joseph (shoulder) was bumped up to a full participant after being limited earlier this week; defensive end Tashawn Bower (ankle) was held out Thursday after practicing on a limited basis on Wednesday. Punt returner Marcus Sherels (ribs) remained limited during his return to practice this week. Sherels hasn’t played since the Sept. 16 tie in Green Bay. Eagles’ injury report: RB Darren Sproles (hamstring), RB Corey Clement (quad) and DE Derek Barnett (shoulder) did not practice Thursday; OT Jason Peters (quad), WR Alshon Jeffery (chest) and DT Fletcher Cox (ankle) were full participants. Mailbag: How fast can the Vikings shore up offensive line play?